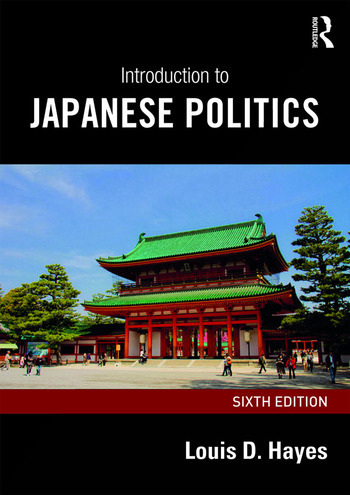 Introduction to Japanese Politics, now in its fully updated sixth edition, is a comprehensive and current review of political and public policy developments in Japan. Since the previous edition, Japan’s economic policy has undergone significant change with a prolonged period of deflation having altered the dynamics of the Japanese economy. At the same time, the Abe administration has expanded Japan’s international security participation, previously limited by the constitution, while China’s activities in the South China Sea have impinged upon Japan’s territorial claims. The increasingly contentious realm of foreign relations and security issues, including China's expanding role and the effect of North Korea’s development of nuclear weapons. This broad-ranging textbook continues to be essential reading for students of Japanese politics, international politics and Japanese studies. Louis D. Hayes is Professor Emeritus of Political Science at the University of Montana.